“Child sexual abuse is a difficult subject to discuss, therefore I commend the Bascome brothers for bringing this topic to the fore,” Minister of Social Development and Sports Sylvan Richards said. 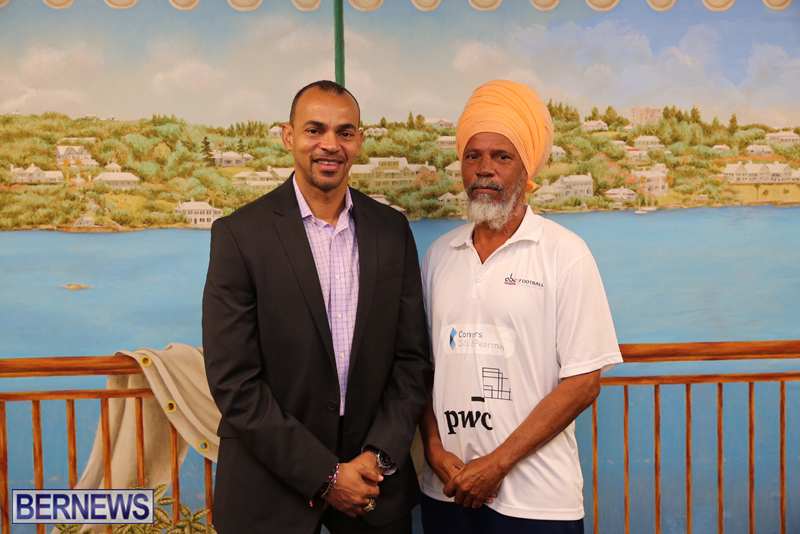 Minister Richards said, “As the Minister with responsibility for Sports in Bermuda I wish to thank Coach Andrew Bascome and his brother David Bascome for their courage and dedication in assisting, developing and protecting young people in our community. “Child sexual abuse is a difficult subject to discuss, therefore I commend the Bascome brothers for bringing this topic to the fore at this time. “There is currently a bi-partisan Joint Select Committee empanelled which is reviewing current legislation regarding child sexual abuse and which will, in due course, recommend legislative changes that need to be made in order to further protect our young people from becoming victims of any form of sexual abuse. “I would also remind the public and all organizations that have contact with young people that there are organizations such as SCARS which offer training to recognize and assist in preventing child sexual abuse. “Additionally, all agencies and organizations should have all persons working with children security vetted on an annual basis,” concluded the Minister. Speaking at the press conference, an emotional Andrew Bascome said, “You don’t know what kids are going through….I have been through that. I’ve been molested. David Bascome said, “This [football] was our way out and we found our safe place and as my brother speaks, I will let you know that, yes, I was also in the same position as him, being in that same position of being molested, I’ve been there. If you would like to contribute towards the programme, the ABC Football Foundation has a donate button available on their website.